Andy is passionate about helping entrepreneurs (including lawyers like me!) market their services in innovative ways, and his tips are EXCELLENT! Most importantly, he communicates those tips in an easily digestible format (videos, which can be played while multitasking). Any time I stop by for new insight, I leave with at least one piece of actionable content. Seriously, Andy’s great!! Andrew Stickel's strategies increased profit and ROI for our business. Highly recommend him to anyone looking to improve profitability! Andy is always posting very informative marketing strategies to help lawyers like myself get leads. His videos are very easy to understand and follow. If you implement his ideas, you should see an increase in clients. His advice and recommendations are always great, thorough, and easy to follow. I've been implementing his ideas and I am starting to see results. Andrew is a wealth of great marketing information. I was unclear how his system could work in my practice area so I sent him an email and the next day he posted a video that answered my question in detail. I tried what he suggested and it is working. I highly recommend him and his Facebook group as well. As a small law firm owner time is definitely one of my scarcest resources but working with Andy’s content has been an effective way for me to use some of my downtime in the car to listen to his videos and take actionable steps to get more potential clients in for consults which results in me being able to help more families protect themselves and the ones they love. Andrew is a hustler and knows his stuff. If you're interested in marketing by a different means than the traditional old fashioned way, then reach out to Andrew and his company. I have learned a lot from Andy's wonderful videos. I am interested in exploring more creative marketing approaches. I am frustrated with paid advertising. Google advised me to spend $10,000 a month on Ad Words. I think there are better ways to spent $10,000 a month than on AdWords! I actually enjoy doing some of the marketing myself. It has been far more fun and interesting than I expected. Thanks Andy! Hey guys I'm a fellow attorney (NY Barred) and i run an advertising agency for Iawfirms. I can without a doubt say that this is one of the best training you can find about Facebook marketing for lawyers. Attorney at Law at Emmanuel L. Muwonge & Associates, LLC Hi I am a Accident and Personal Injury lawyer in Milwaukee, Wisconsin and started working with Andrew and Jordan at Elite Lawyers. I can say without a doubt that I know a lot more now about advertising on social media than the aggregate of everything I knew before I met (not personally) both Andrew and Jordan. Their USB is a product that will set you up to be able to learn what you need or must do to get ahead on Social Media. I would unreservedly recommend them to you and or anyone interested in marketing their firm on social media. ELOA and Andrew and Jordan specifically are building my landing pages and based upon the information they have supplied me with thus far, I am anxiously awaiting to do much better and bigger business in 2018. I wish you and everyone else a Blessed and More Successful New Year. I just had a marketing strategy call with Andy Stickel. So very helpful. If you have a chance I highly recommend it. Lol, Andy is all about results, and the smartest marketer I've ever worked with, the website and optimization they've done has tripled my business. He can wear pajamas for all I care. I learn more from him in a 10-minute phone call than I could in weeks of research. he's a wealth of knowledge. don't miss out on this. Andy is a great marketer and also a great teacher. His classes are fast paced and very informative. You will learn a lot in 1 hour! I worked one on one with Andy and learned a so much about marketing my law firm. I highly recommend you attend this training. I would definitely recommend all lawyers attend this training. Andy is always spot on with his marketing strategies and light years ahead of the competition. I have tried, failed and wasted untold sums with other companies. They rely on ppc as a security blanket. Andy has unlocked the Holy Grail of organic lead generation, resulting in higher client conversion at a greatly reduced acquisition cost. He's a genius in his field and has the rare ability to translate unique or otherwise complex subjects into easily understood methods and he and his staff are always available to guide you, if needed. Best money spent! I've learned so much by working with Andy. What he teaches easily beats other coaching programs that cost over several thousand dollars. I became more confident in the process as well since I have to put myself out there, but totally worth it! ncredible training! Its all in the videos: nothing hold back. I only have to do the work but now that I have the Stept by stept training i will crush it. Thanks again. 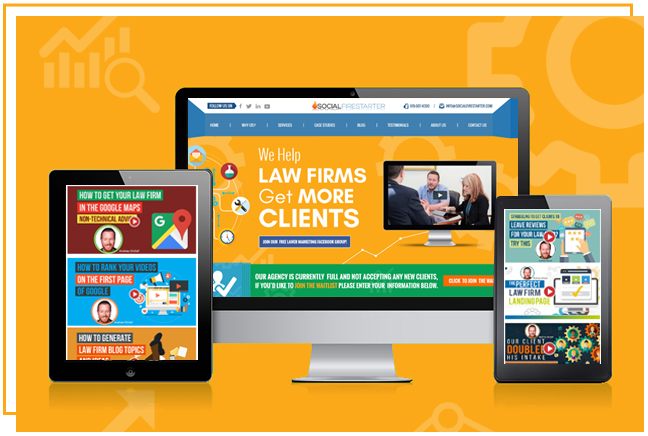 To Get Your Daily Actionable, Law Firm Marketing Tips! Click to Join Our Facebook Group Now!